Winter Blues collection is on both shops ready for you to take a look. This set is full of amazing texture brushes, soft paint and another great photoshop tool presets dynamic brushes you can create a lot of with, makes you creativity flow, blend them, use them together create your own backgrounds. Possibilities are endless ! The 2017 Templates are revamped and they offer so much if you want to do a documentation of you month in a faster and have your layouts looking very artistic with all the things Nicole included with it. Also Bonus: Double page template if you buy the bundle . Check out NBK Design Facebook Page and here at the blog as we are going to be doing more videos showing you how to use those templates. Talking about templates Storybook is here and it’s all about telling stores in a simple way and documenting your whole year ! 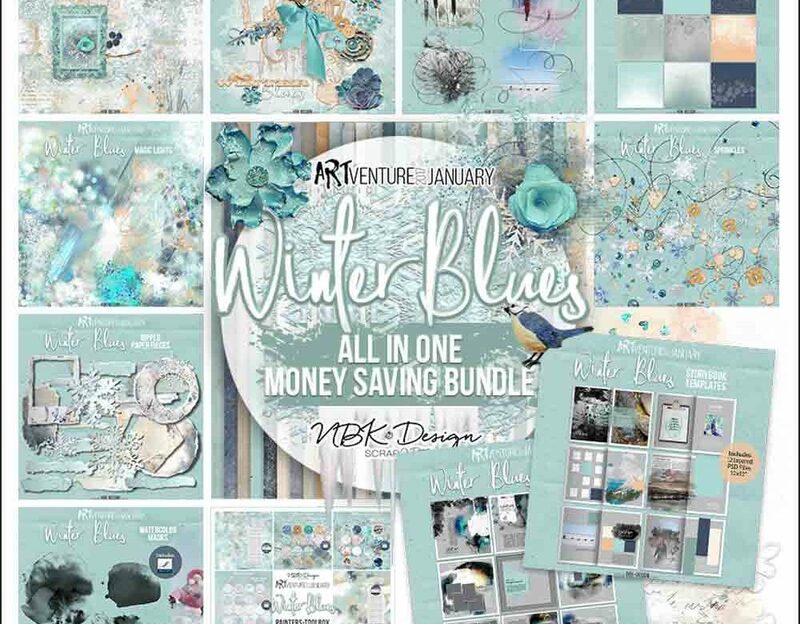 I’m tackling this project this year and will share here at NBK Design blog with you . A lot of things for you to check ! !